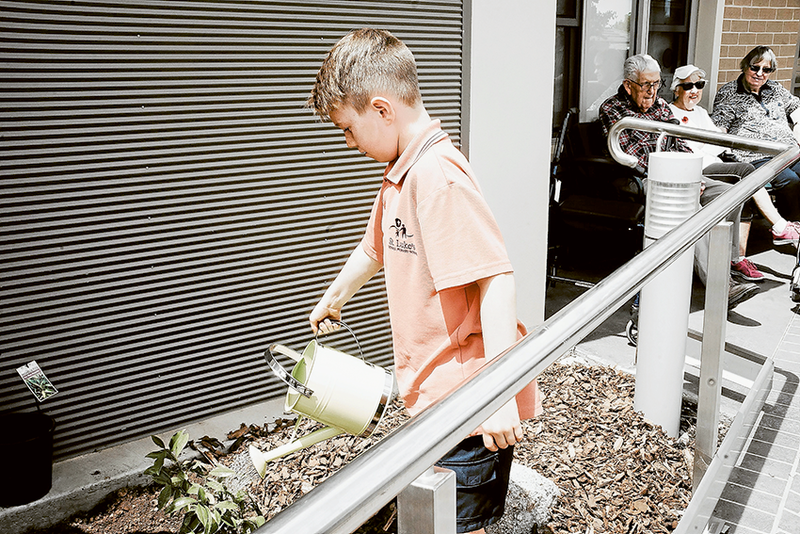 CREATING CONNECTIONS ACROSS GENERATIONS… From left, St Luke’s Catholic Primary School student, Liam Earle, 10, planting trees while Shepparton Villages Banksia Lodge residents, Bill, Faye and Bunty watch on as part of the recent I Wish I’d Asked program event. Photo: Supplied. DAVID Earle of the Rotary Club of Shepparton South, Rotarians and the co-founders of the I Wish I’d Asked program, Eva Gruen and Danny Finley are celebrating being the recipients of the State Government’s Pick My Project grant. The grant was voted on by the public and a tree planting ceremony was held recently at Banksia Lodge in Kialla with Member for Northern Victoria, Mark Gepp to commemorate this intergenerational project. 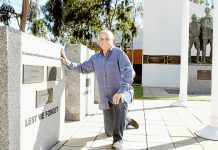 Eva Gruen said, “Children will be encouraged to talk to their older relatives, neighbours and family friends about their lives and gather the stories into an oral history of Shepparton.